Alcohol use may affect transgender students more negatively than those who identify with their gender assigned at birth, according to research from Duke University. The UNC Dance Marathon is once again raising hundreds of thousands of dollars for UNC Children’s Hospital. But that doesn’t make standing for 24 hours any easier. 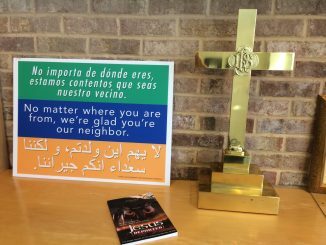 Some local churches consider becoming sanctuaries for undocumented immigrants. There’s another delay in the NCAA’s investigation of UNC’s academic-athletic scandal. A new study finds transgender students suffer more bad consequences from alcohol use. UNC’s dance marathon raises millions for UNC Children’s Hospital. 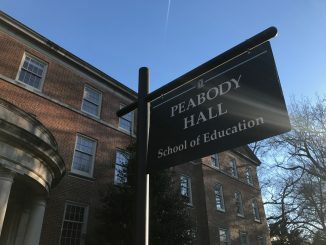 UNC was scheduled to respond to the latest notice of allegations from the NCAA regarding the academic-athletic scandal, but has asked for more time to do so. In the wake of President Trump’s wave of executive orders on immigration, local churches are exploring what is means to provide sanctuary to undocumented immigrants facing deportation. 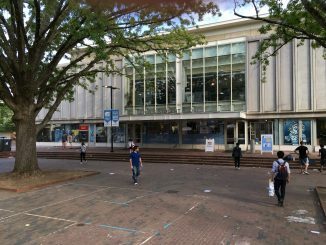 The new owners of UNC’s Student Stores seek to show their commitment to UNC, despite ongoing concerns from students about corporatization. College students and sleep: they often don’t go together. But sleep deprivation can come with serious consequences. UNC’s medical school has stopped using live animals to train doctors. Gov. Cooper and legislators consider incentives for college students to become teachers. Adderall is used by many students to help them study, but its effects can be devastating. An on-campus variety show provides a comedic outlet for students. 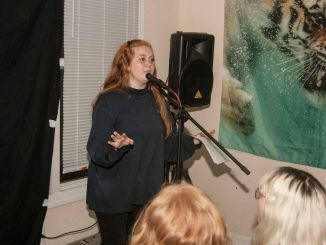 The Scene Is Dead, a comedy variety show at UNC, is expanding and spreading laughter within the community. Both Governor Roy Cooper and state legislative leaders have proposed plans to remedy North Carolina’s growing teacher shortage.